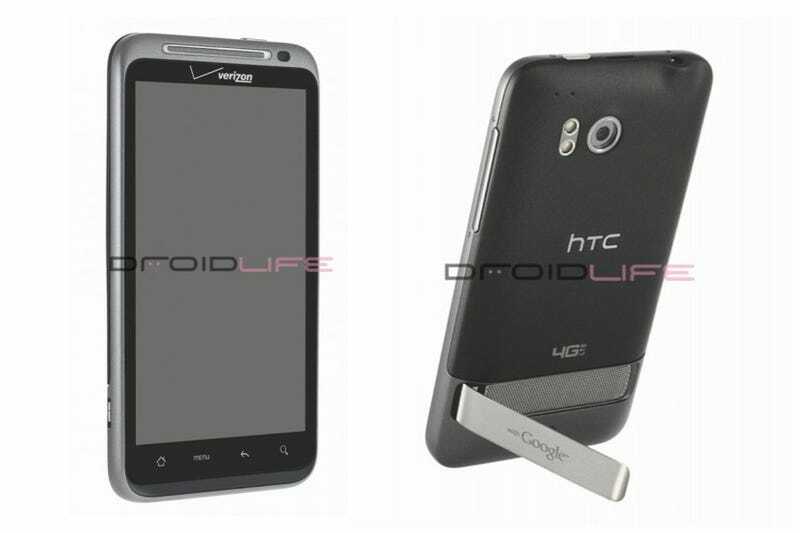 HTC Thunderbolt Coming to Verizon LTE? DroidLife's got a handful of shots of a 4.3" LTE-ready smartphone from HTC, apparently dubbed the Thunderbolt, and from the look of things it's gonna be Verizon's answer to the Evo 4G. From DroidLife's slew of photos—including the one below with the phone proudly bearing a Thunderbolt graphic—it certainly seems like this will show up in the first wave of LTE handsets from Verizon.